Wonderfully illustrated pocket journal with full colour pages and journal lined layout. 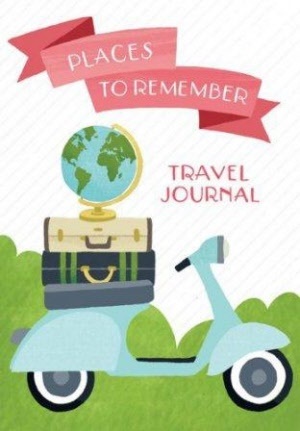 Enjoy the cheerful illustrations by Alyssa Nassner sprinkled throughout the Places to Remember Pocket Travel Journal. Pages are full-color throughout and are primarily lined for journaling. 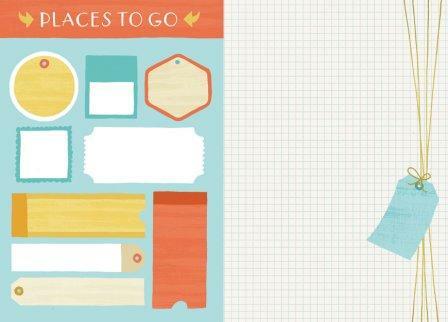 There are also a few subtle grid style pages, and some content, such as checklists, packing lists, itinerary prompts, custom calendar pages, address section and expense log. French-style cover flaps (an extra piece folds in or opens out creating a sort of pocket). Hard cover with an elastic wraparound closure band and lay-flat binding.